All of these prisoners have been called inhuman monsters... one of them actually is! 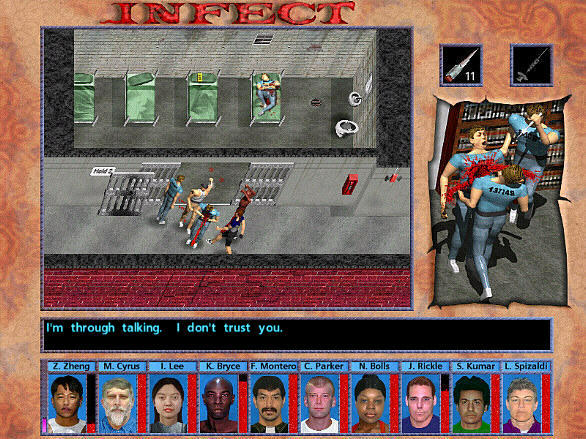 Fight other prisoners to the death in a bid to escape from MAC, and figure out who's hiding a devastating infection! Search for drugs to reveal the infection, and shanks to draw some extra blood. 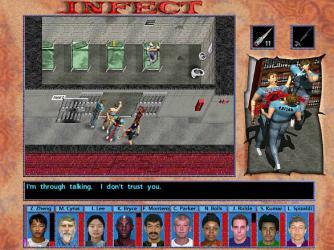 Violence, tension, horror, and intrigue, all in one game! 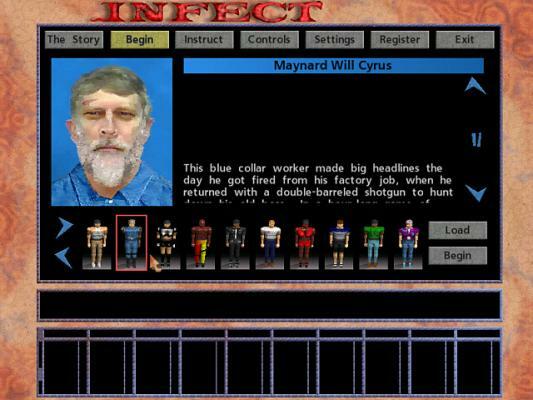 Choose from 10 characters, each of whom has their own begin and end stories. Bonus play-modes become available as you finish with new characters.